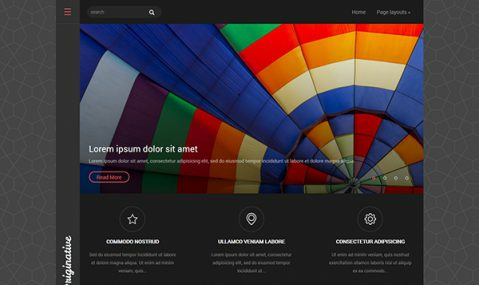 Colorful and extraordinary creative premium WordPress theme Originative is developed and available to download for free right now. Lite version allows to use almost all the options and understand how easy to use the products of LeThemes company are. This wordpress theme has maximum of customizations and comes along with a built-in contact form. You may adjust it for an online store or create a super attractive blog – whatever you desire. Originative can’t disappoint you since it already have a mobile version. Get it right now!